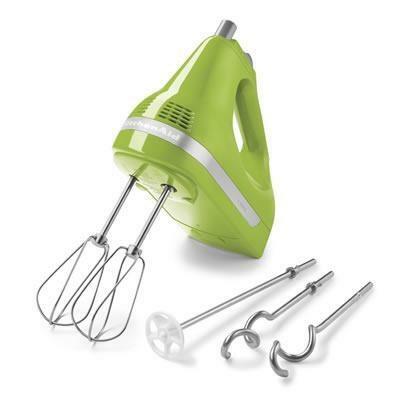 KitchenAid® 5-Speed Ultra Power™ hand mixer. 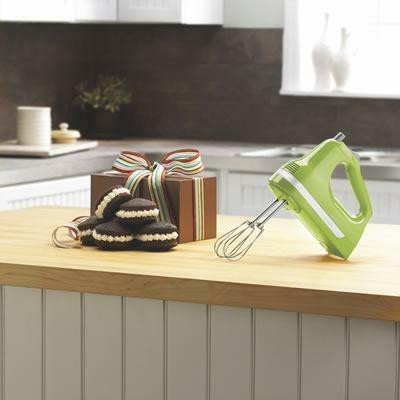 The 5-speed hand mixer provides you with the tools to take on any recipe. 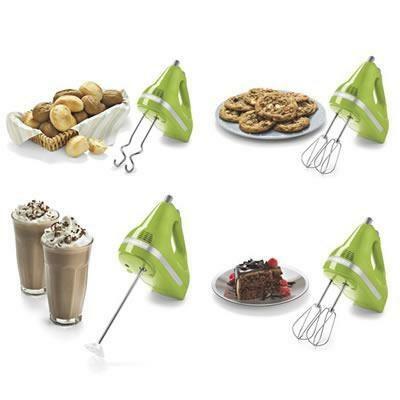 Whether mixing cookie dough, blending a smoothie, or kneading bread dough. The powerful lighweight motor is designed for quiet, life-long operation. Other Features Comfort-Designed handle. Slide control. Colour: Apple Green. Included Turbo Beater TM accessories. Stainless steel dough hooks. Stainless steel blender rod.